The Nuestra Señora Process Plant is located in the Cosalá District of Sinaloa State, Mexico. The plant produces zinc, copper and lead concentrates; with a significant silver component in the copper and lead concentrates. 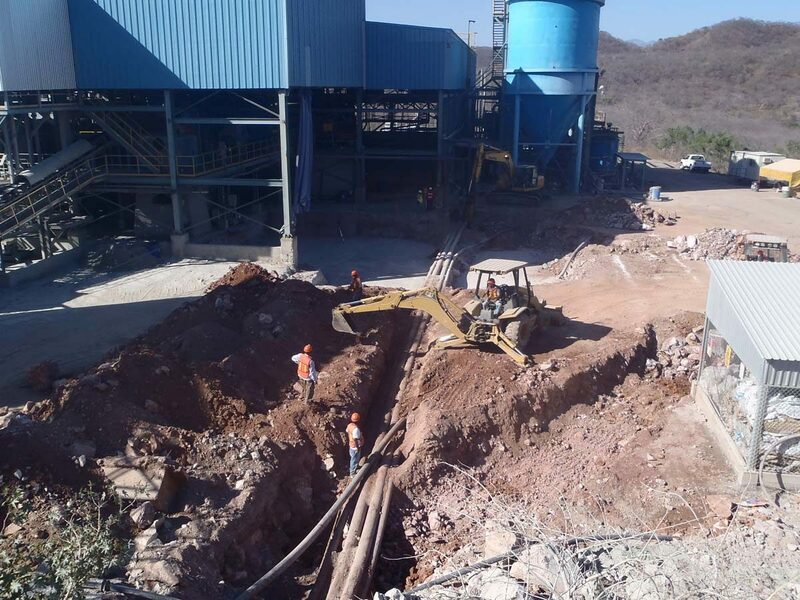 In January 2012, Scorpio Mining (now Americas Silver Corporation) announced plans for a major expansion project to increase current production capacity at the Nuestra Señora Process Plant. JDS’ scope of work included the increase of the Nuestra Señora Process Plant production from 1,500 to 3,000 tonnes per day. The work included feed conveyors, an additional refurbished used 1,500 hp ball mill, liner handler and platform, fine ore bin, 9 – 20 m3 flotation cells, flash flotation circuit, tailings thickener and associated electrical, control and piping systems. JDS performed all project management services, including designing the process flow sheets, and then managing completion of the detailed design by Allnorth Engineering. JDS engineering group also sourced all equipment, including using design built contracts for the fine ore bin and tailings thickeners. JDS site construction team bid and managed the local contractors in the construction and commissioning of the Nuestra Senora Process Plant Expansion. The work which would have been executed in a 12 month time frame from conception to completion was halted due to issues with ore resources.